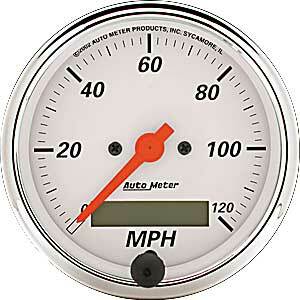 This programmable speedometer has a resettable trip odometer and should work with most factory sensors. If sender is needed, use 105-5291 (GM) or 105-5292 (Ford). 1388 is rated 5.0 out of 5 by 1.